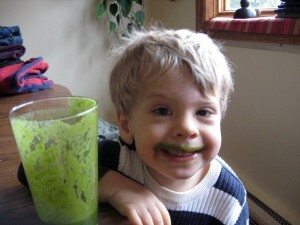 Vitamix Creations Elite Review - Got Greens? Vitamix Creations Elite Review – How Does It Compare? 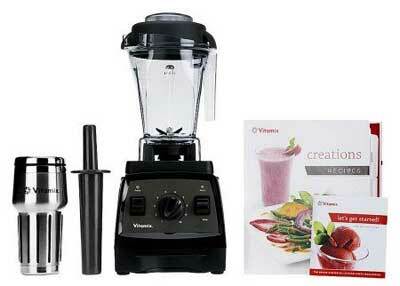 For current models see our complete » Vitamix Buyers Guide. 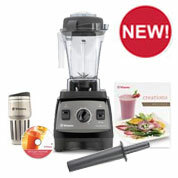 First introduced on QVC in 2012, once again they feature the » Vitamix Creations Elite (K36346) as a TSV. It has also been called Vitamix GC Creations Elite or Variable Speed Blending Machine. There are a lot of questions and as usual, people are looking to us for answers. What’s the difference between the Vitamix Creations Elite and the other Vitamix models? We hope this Vitamix Creations Elite review will answer your questions. (Also available on » Amazon.) It is intended to clear up the Vitamix 5200 vs Creations Elite vs Creations II confusion as well as give you the info necessary to decide on which Vitamix is best for you. The Vitamix Creations Elite comes with the same 5 year warranty as other Creations models (the Vitamix 5200 has 7-years). It also includes the standard Creations recipe book. As usual, QVC has added a little goodie to go with it. This time it is a stainless steel travel smoothie cup. The package is slightly different on vitamix.com. You will likely recognize the same 48 oz compact container that comes with the » Vitamix Creations II. The Elite comes with the same exact BPA-free Vitamix compact container and tamper. This is the shorter jar that is designed to fit under most kitchen cabinets. Although it may look a little different than other Creations models and the » Vitamix 5200, the Creations Elite retains similar easy-to-use controls featuring the variable speed control dial that makes Vitamix so special. What’s New and Different compared to other models? The base has been redesigned. By looking at the picture alone, you can see there is something different about this new model Vitamix Creations. It is actually now bigger and heavier than before, but not by much. It has gained a little more than a pound, yet is only slightly larger in girth (less than half an inch in width and depth). The redesign of the blender base is primarily to house a more efficient motor. 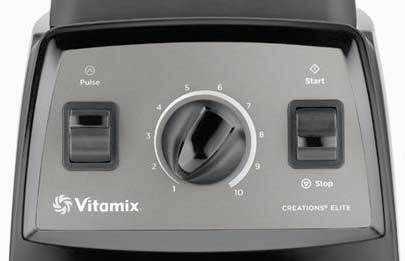 The Vitamix Creations Elite draws slightly less energy, 1300 watts, yet produces a little bit more power at 12 amps, said to peak at 2.2 horsepower. 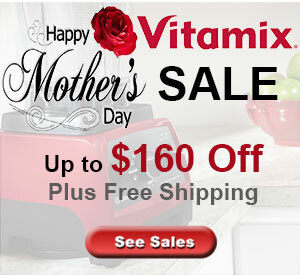 (This compared to the other standard Vitamix Creations and 5200 models of 1380 watts, 11.5 amps.) The extra power is utilized to run a cooling fan consistently during operation. Another difference is a slight change in how the easy controls function. The Creations Elite has done away with the high/variable switch and replaced it with a pulse switch. Now, the variable speed dial has the full range of speed and power. Other Creations models required the switch to high to reach maximum speed and power. Some think that a pulse feature is new to the Vitamix, but the truth is, all Vitamix household models have a pulse feature. You simply set the variable speed dial to the speed you wish to pulse and use the on/off switch to pulse the blender. The most exciting change in the Creations Elite design is that the number one complaint has been addressed. It is much quieter than other Creations models. It is said to be 40% quieter! (than previous classic series models) This is a significant difference which is easily discernible when operating the 2 side by side. For additional information on the differences between Creations and 5200 please see our » Vitamix Creations vs 5200 comparison. 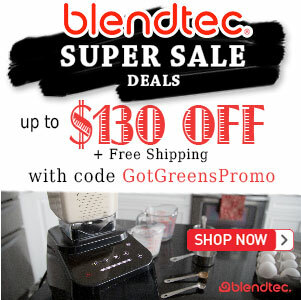 If you want a Vitamix and wish to get the most for every dollar, you MUST consider a » Reconditioned Vitamix and save OVER $140! What Vitamix do you choose? There is no negative to the Creations Elite not having a 64 oz. The main difference between the 48 and 64 oz is, aside from the obviously volume, is the height of the container which allows you to store the Creations Elite with the container on top on the counter underneath most kitchen counters. Some customers also say that they prefer the 48 oz because it is easier to remove your blended treasure versus the 64. How does this new model compare to the Pro 500? I want the best bang for my buck and the best machine as well. The Pro 500 is built with the previous motor based on the 5200. It does not have the benefit of the quieter, stronger and more efficient motor of the Elite Creations. However it does have a pulse switch as well as a variable speed dial that goes up to maximum speed like the Vitamix Elite. In addition it also has the 3 preset blending programs not available on the Elite. – Creations Elite: new design with quieter, more powerful and efficient motor and a 48 oz. container. Can the Vitamix Creations Elite grind grains and make flour? Yes. Like all Vitamix blenders, this one can grind grains. The special dry grains container is not necessary, but helpful if doing lots of dry grinding.